FREE ADMISSION TO ALL SPECTATORS. Starting at Trailside Park the ride will be starting at noon and following the trail to Timberjack campfire to follow upon arrival. 10:00 am - 4:00 pm Antique and Vintage Show in Trailside Park along the Paul Bunyan Trail. 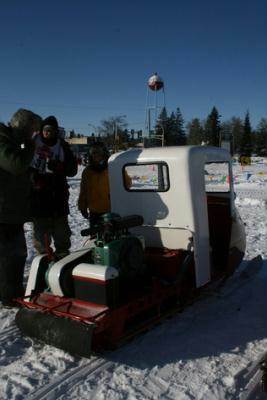 Awards for oldest operational machine, best original antique, best restored antique Cutter Class/Peer's Choice Award, Rat Sled (must run), best original/restored vintage machine (1969 or newer) and best costume.